Imarpigmun taugaam ayakarraaqatalria kumarciluni kenermek. Tua-i-ll' ayunek, keneq tauna kumarqaarluku ullagluku ayunek imirraarluku, naqugutairraarluni, iluminun qamavet puyurpagtelluku. Tua-i-ll' nutaan tuatnarraarluni, qayani teguluku tauna keneq tumekluku nutaan imarpigmun ayagluni. Qayaminun tamatumun cali tumkevkarluni. Imarpigmun-gguq ayakarraalria tauna tanqigcartuq imarpiim yuinun taukunun tangnerrlukesqevkenani. One going to the ocean for the first time lit a fire. Then he'd take Labrador tea leaves, go to the fire and put them on the flame, and after removing his belt he'd let the smoke flow inside his garment. Then he'd take his kayak and start going down toward the ocean, allowing his kayak to glide over the fire. They say before going to the ocean the hunter was cleansing himself like that to shine brighter and not be offensive in the eyes of the ocean's inhabitants. Tuamtellu wangkuta unavet imarpigmun atraqarraaraqamta tamana atunricuunaku, aviukaqsaraq. Qalarulluki cali imarpigmiutaat, piyukengamtenek cikiumasqelluta. And when we went down to the ocean for the first time, we always gave an offering [of food and water]. We also spoke to the ones of the ocean and asked that we be given what we wanted. 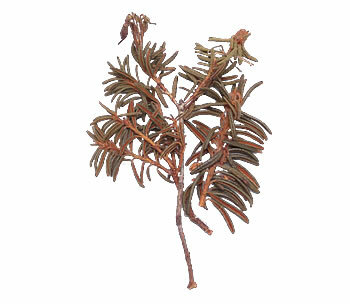 Labrador tea was burned in a fire so that its smoke could purify a kayak being brought to the ocean for the first time. Pissulqa wii iquklipailgan aturnanrillrulriit qayat makunek Lund-anek cimingluteng. Tua-i pissurcuutet qacigliluteng, qayairutut kiituan. Tua-i-llu qayatgun pitaqelallmeng ikgellerpaitnek pit'elangluteng angyatgun pilangameng. Uqurrnanrirluteng. Amlleq anagilangluni neplirluteng motor-aarit pilaameng, qayat taugken nepaunateng. Before I stopped hunting we no longer used kayaks and started using Lund [aluminum] boats. 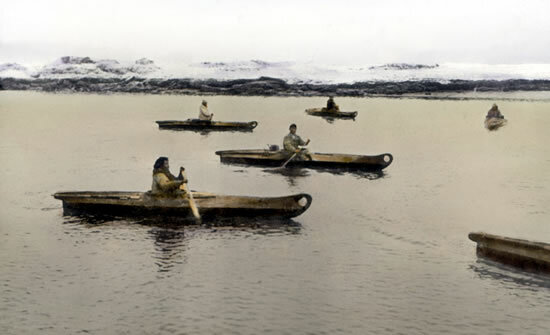 Other hunting vessels became easier to obtain, and soon people didn't own kayaks anymore. And when they started using boats, the number of seals hunters caught declined. They don't obtain a lot of seal oil anymore. Hunters started missing the opportunity to catch because their motors were too noisy, but kayaks were quiet. 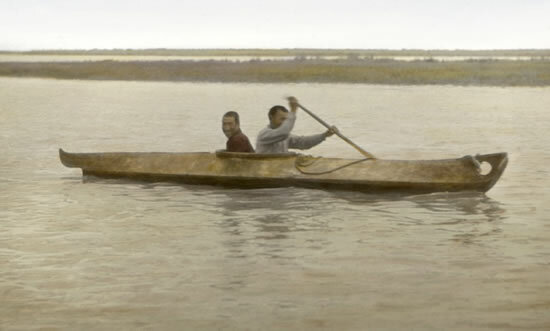 Kayak designed for sea-mammal hunting in heavy seas. Its broad, beamy frame and flattened bottom promoted stealth and stability. The sharply ridged deck expanded its load carrying capacity and helped shed waves. Combined with the use of a sealable, waterproof seal-gut parka, this kayak was very seaworthy. Kayak sled used to move the kayak from the village to the ocean's edge. 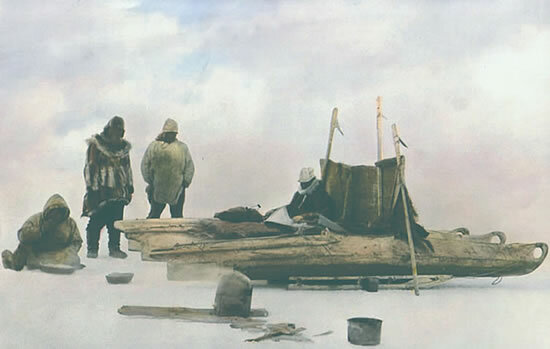 John Phillip said: "After we unloaded seals from the sled we laid them facing the direction they came from, in hopes the sled be filled again."